So glad it's a weekend! The week got off to a dramatic start with a fairly big storm expected, but thankfully it didn't start snowing heavily until after 3:30 and since I leave a little earlier most Mondays and Fridays, and a lot of people took off or left early too, the commute home wasn't that bad. More time for pass 1 work on Geren book 4 (which I quite relish) and I was only home 15 minutes late. I loved rewatching Interstellar last weekend as a way to put 28 miles on my exercise bike. And that led to a delightful discovery--now that I have a blu-ray player, I could watch the blu-ray extras disc. I quite enjoying working through those in the evenings. More drama on Wednesday, this in the form of my desktop Tertius refusing to boot with a BIOS error. That brought a double blessing--not only did I pass a test by not spending the workday freaking out, as well as counting my blessings as I was fighting to get it working again, instead of grumbling, but-- The extra garage door opener batteries I got ended up being just the type that Tertius needed replaced to start working again. Praise God! Last weekend I got my taxes done, and while state Use Tax will be my highest ever, so will my tax refunds! And my state tax refund is heading my way just one week later! 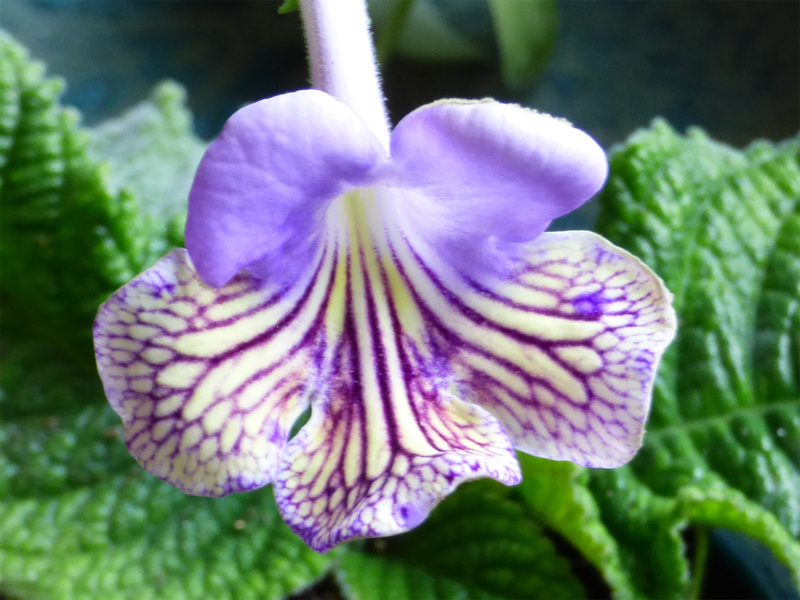 My most recalcitrant streptocarpus of the three I bought last fall finally has a flower! (Didn't help I knocked the poor plant off my dresser a week after I got it.) 'Neil's Minnehaha' was definitely worth the wait!